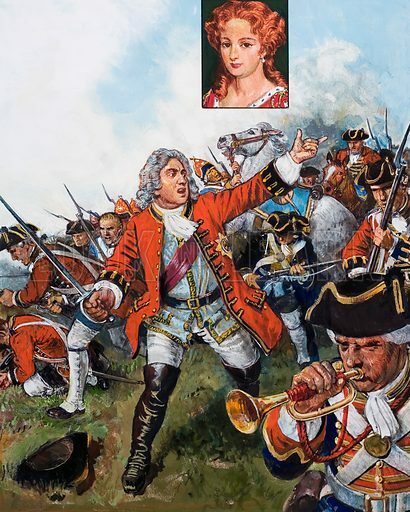 George II became the last British king to lead his soldiers into battle, on the field at Dettingen in 1743. Inset: Queen Caroline. Original artwork for illustrations on p29 of L&L issue no. 1016 (29 August 1981). Available worldwide for immediate download up to 3,581 x 4,469 pixels.